The new Strike Industries Hydra Blade might be a perfect multi-tool companion for first responders. Strike Industries continues their impressive production of accessories and tools to help shooters and first responders get the job done. The newest addition is the Strike Industries Hydra Blade, from the company’s NADA knife series. 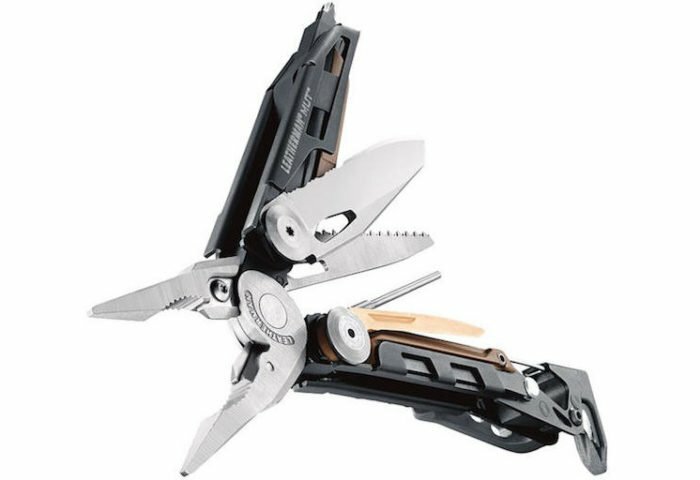 The Hydra Blade is much more than just a knife, and really takes on the function of an emergency response multi-tool built around the knife concept. Currently, Strike Industries is accepting pre-orders for the versatile Hydra Blade. There are many supporters and some detractors of Strike Industries, so the popularity of the Hydra Blade may very well come down to which side you fall on. From our experience the Strike Industries components and accessories have all been valuable additions to our firearms, gear, or tool kit, and we have recommended many of them here at BlueSheepdog.com. The Blackhawk Crucible FX2 fixed blade knife. The Blackhawk® Crucible FX2™ fixed blade knife is not new to the market, but this knife offers a great deal of potential for law enforcement, military, and first responders. It is our firm belief, every cop needs to have a dependable a and durable knife on duty. There are just too many tasks requiring a knife not to have one handy on the job. The Blackhawk Crucible FX2 is a solid knife, featuring high quality AUS8A steel and G10 handles. The Crucible is a very dependable knife capable of a wide range of uses in the harshest of conditions. The Blackhawk Crucible FX2 knife design comes rom highly respected close-combat instructor Kelly McCann (a.k.a. Jim Grover), a world renown expert in anti-terrorism and counter-terrorism. 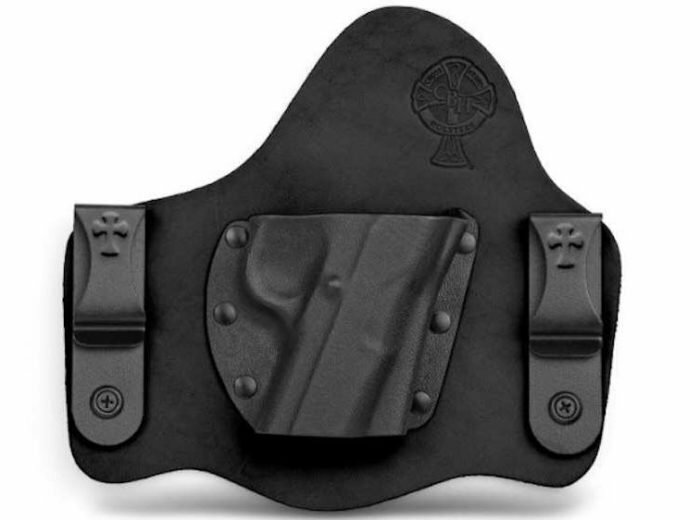 A one-time Master Instructor for anti-terrorism and personal protection for the U.S. Marine Corps and U.S. State Department, McCann designed the Crucible to meet the needs of armed law enforcement needing a knife for self-defense and utility purposes. McCann runs Team Crucible in Virginia, a GSA approved training provider. The new Streamlight ProTac HPL offers 1000 lumens for 1.5 hours. 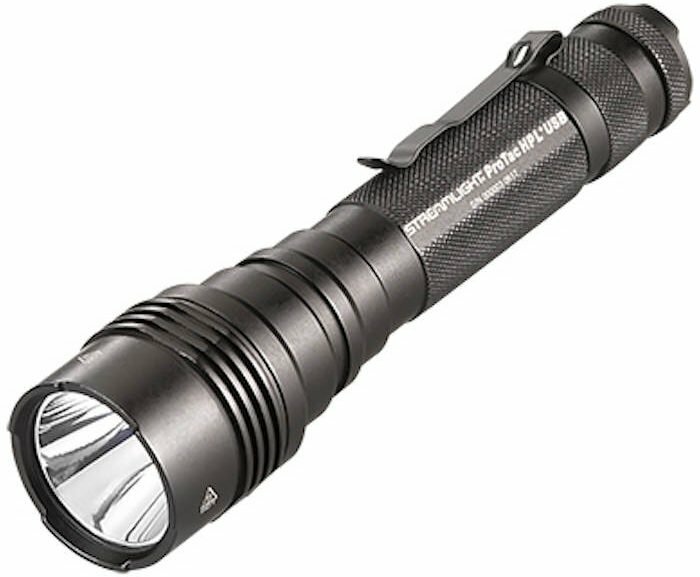 Streamlight has just released the ProTac® HPL, their newest model of their highly popular ProTac® tactical flashlights. The new ProTac HPL (High Performance, High Lumen) will feature an extremely intense 1000 lumen beam, and offer users a USB charging system. The ProTac HPL takes on a similar appearance of previous ProTac models, but offers upgrades in some key components. Streamlight is based out of Eagleville, Pennsylvania and is one of the most respected law enforcement and first responder flashlight manufacturers in North America. The BlueSheepdog Crew have used a wide variety of Streamlight products and have always found them to be reliable, durable, and well-built. 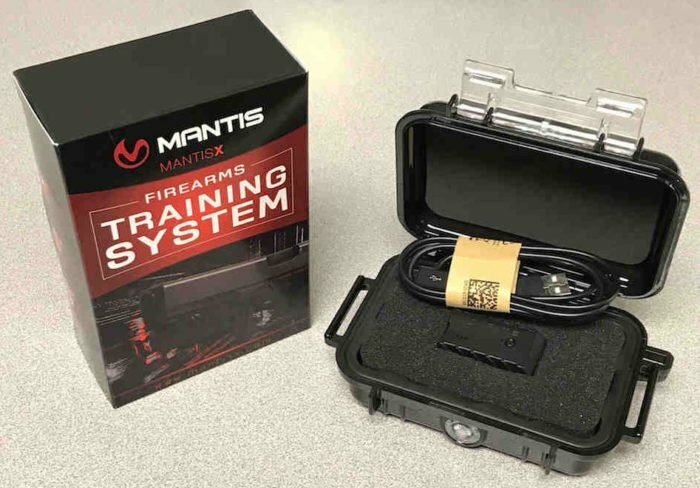 The MantisX Firearms Training System uses hi-tech to identify shooting errors and corrections. Mantis is a new firearm accessory company based out of the Chicago suburb of Oswego, Illinois. The Mantis website describes the company as, “gun nuts, with some heavy geek seasoning and a deep passion for our families and our future.” Their first big development has been the new MantisX Firearms Training System. The MantisX is a really fantastic shooting aid incorporating a mountable sensor and a Wi-Fi app. The MantisX sensor mounts to the shooter’s firearm from several different options. Using proprietary designs, the MantisX Firearms Training System records firearm movements during the shooting sequence for every shot made. This recorded feedback can provide immediate remediation for shooter’s as well as guidance towards the cause of errant shots. 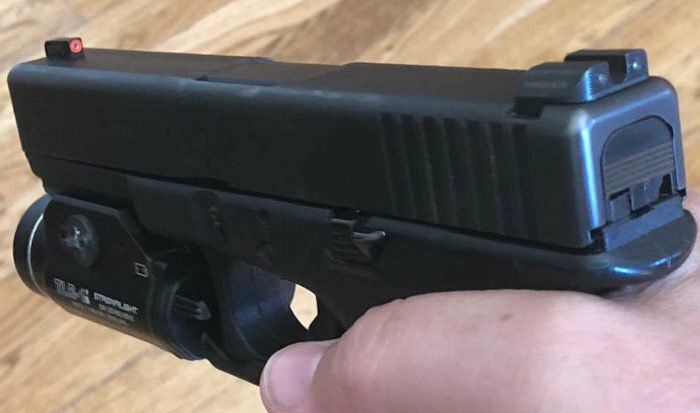 DISCLAIMER NOTICE: The BlueSheepdog Crew received a MantisX Firearms Training System for review without any promises or agreements on our final opinions of the product. We are not affiliated with MantisX and have not received any financial benefit from MantisX other than the use of one of their systems. BlueSheepdog does not sell advertisements or sponsorships on our site to avoid any conflict of interests. We do participate in the Amazon Affiliates program. This site is funded when readers click on the links in our articles. Any purchases provide us a small percentage of the final sale, without raising the price you pay. 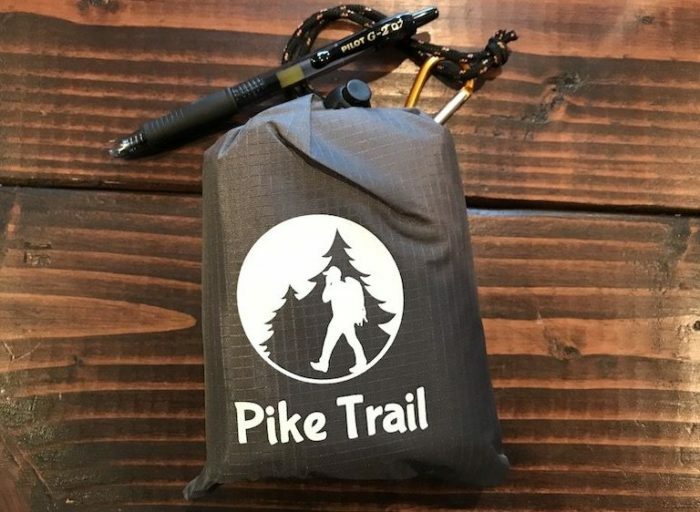 The packaged Pike Trail Pocket Blanket is very compact and lightweight. Recently, the BlueSheepdog Crew were given the opportunity to test and evaluate the Pike Trail Pocket Blanket. This may not seem like the usual gear and accessory selection for BlueSheepdog, but when I saw the Pocket Blanket I immediately imagined its beneficial use during police, fire, and medical emergency situations in the field. The Pocket Blanket is extremely compact and lightweight, but is designed with modern materials providing excellent heat retention and protection from the elements. Pike Trail is an outdoor supply company located in Columbia, Missouri. The company was founded by outdoor enthusiasts. The company name comes from a trail forged to an overlook of the Missouri River and connecting to Missouri’s Katy Trail system. The Katy Trail has received national recognition for restoring portions of the old Missouri-Kansas-Texas railroad line into a public park and trail system. DISCLAIMER: BlueSheepdog accepted the Pike Trail Pocket Blanket for review with no promises, suggestions, or monetary favor exchanged in return for a favorable review. Pike Trail is not a sponsor or paid advertiser on BlueSheepdog.com. In fact, BSD does not accept sponsorships or paid advertising allowing us to make independent and objective reviews of products. BlueSheepdog does participate in the Amazon Affiliates program. When readers purchase a product from one of our embedded links Amazon pays us a small percentage of the sale without raising the price to the reader. This is how we keep this site up and going!